Myles creates word search puzzles of all sizes and types. 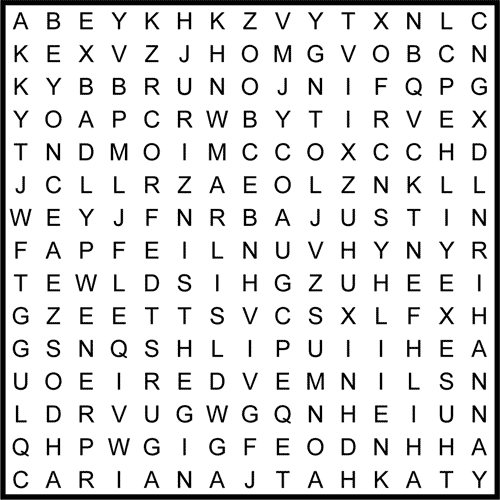 These can be created with general words or made into “theme” word searches with a list of words based on the interests of a magazine or website. 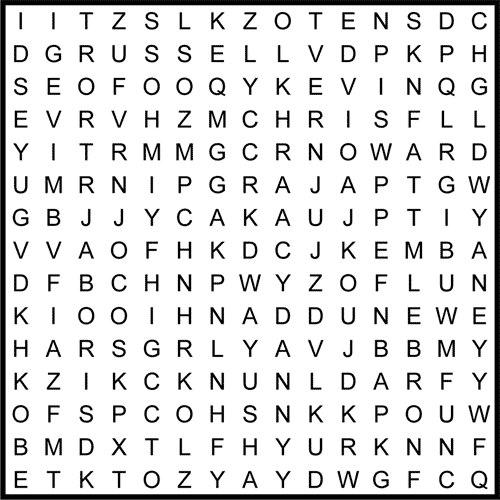 See examples below of “theme” word searches. Myles also creates word searches where the uncircled letters in the word search combine to form a theme word or phrase. Contact Myles here for a quote for a word search for your publication. 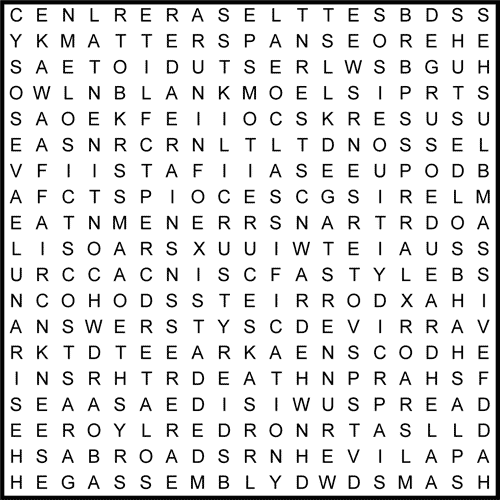 Locate all the words below in the word search. They may be across, down or diagonally in any direction. Then use the remaining letters to form a Canada related word. 15 first names of pop singers are listed by the puzzle. They may go across, up and down or diagonally in the puzzle. Circle each one when you find it.